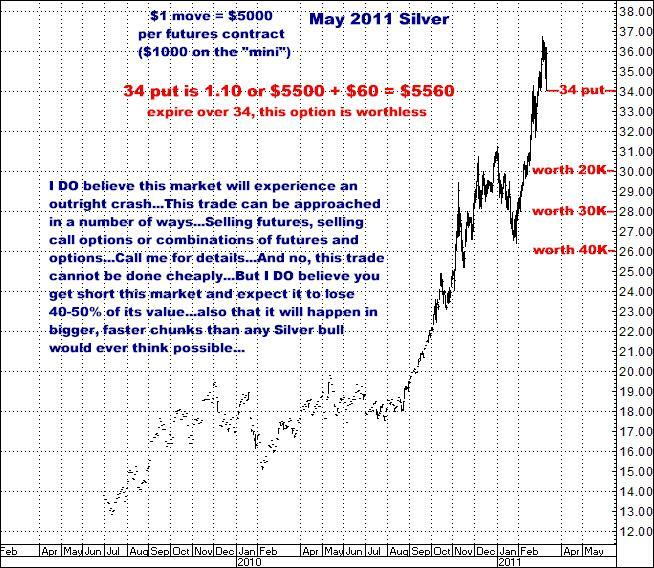 And Silver? 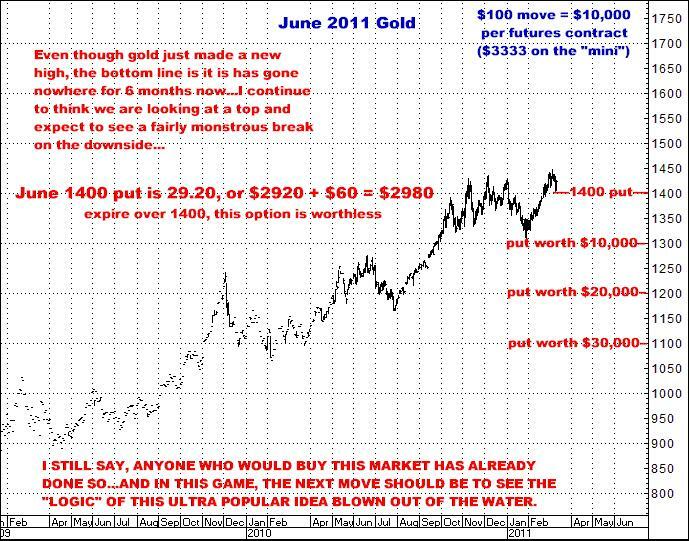 Gold effectively reached its highs around the $1400 level last October, but Silver, which I assure you, does NOT lead or set the tone for the precious metals, has gone up almost another 50% in value…Silver is the “poor man’s gold”, meaning it’s what you trade if Gold is too expensive for you to consider…GOLD LEADS SILVER, NOT VICE VERSA…and to me, the fact Silver is still soaring higher is just one more indication that this bubble is ready to collapse. 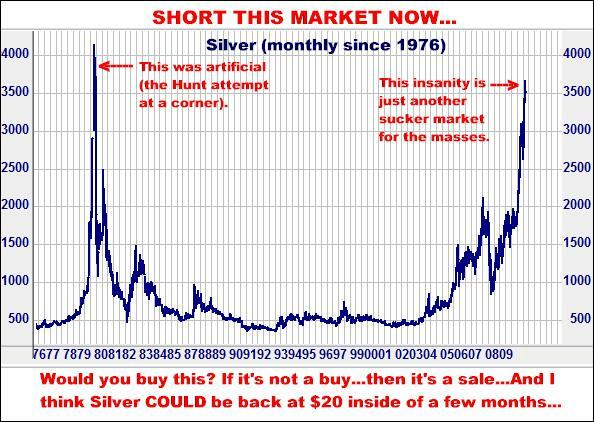 Maybe I’m just a dumb broker stuck on “Sell” but I think $36 Silver is just stupid…that there is a potential small fortune to be made on the short side while Silver loses 40-50% of its value. 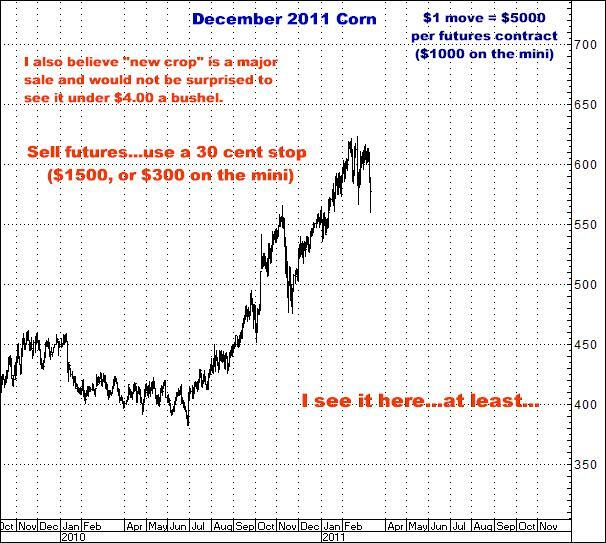 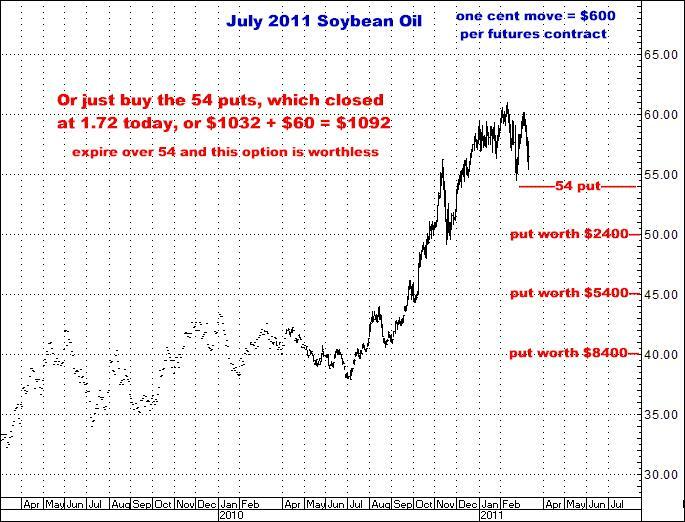 I would almost say this may be the most severely over inflated and overvalued commodity market I have ever seen. 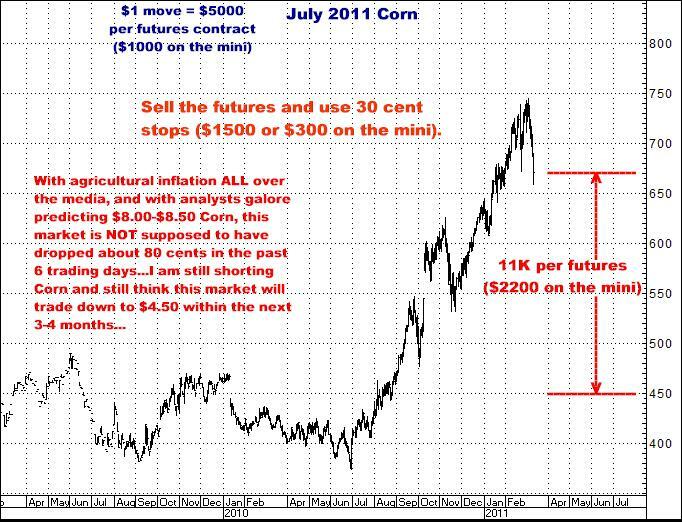 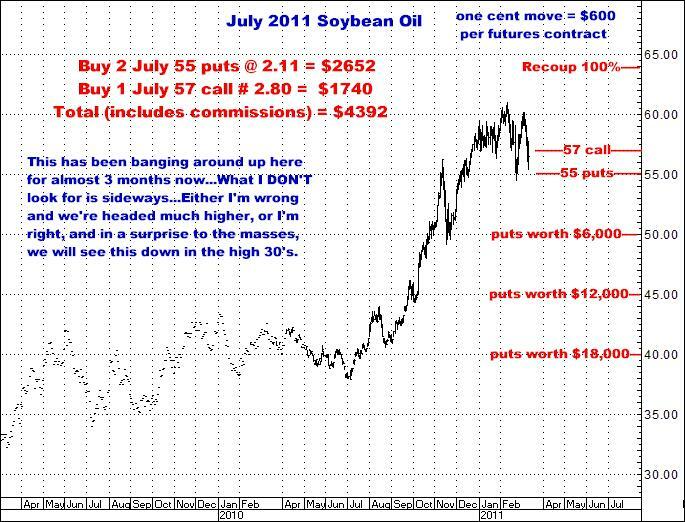 I still think Short Soybean Oil is an incredible option trade…whether you just want to buy puts or use the “2 and 1”…with tremendous leverage…I see this market as having several classic elements of a top and fully expect to see it come off a minimum of 30-35% before we get to the end of summer…And do NOT suppose that just because I spent several years being short this market while it went sideways means I will be wrong again…I DO THINK THIS IS A BIG TRADE. 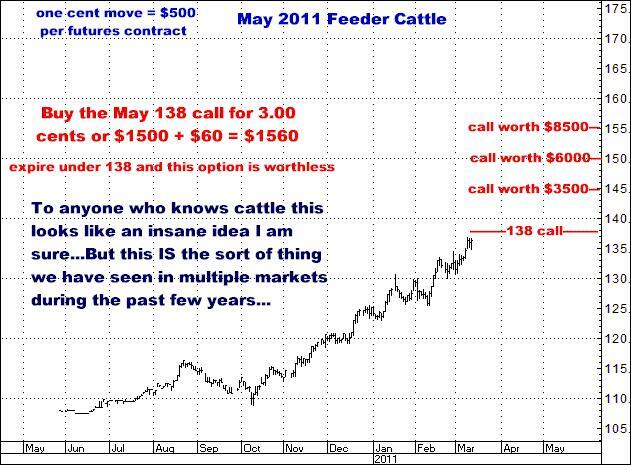 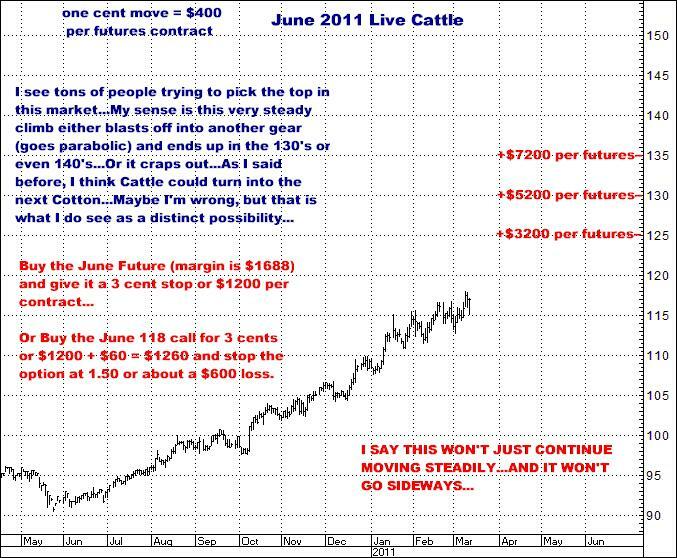 Or do this contract…using the Feeders…of which it is sometimes said, “Feeders are the leaders” (in Cattle). 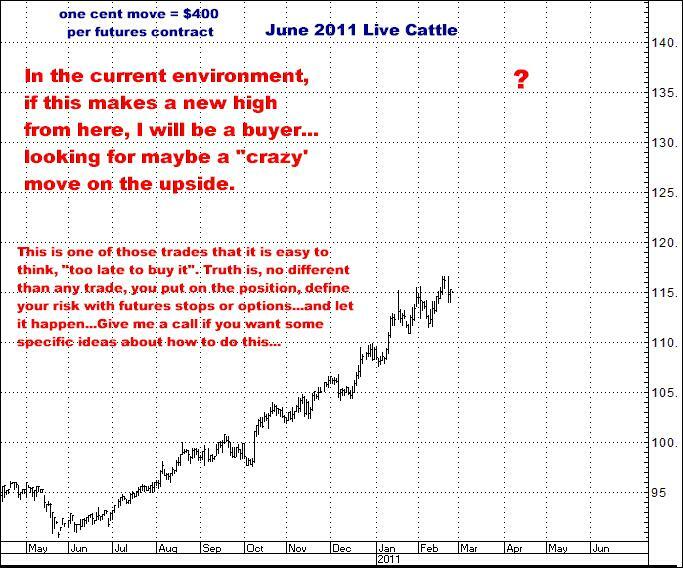 Give me a call if anything here interests you…And if you know anyone who might have the risk tolerance for futures and might be interested, please pass this along.